Limited Stocks. Price £895.00 + FREE Mainland UK Delivery. Dom Pérignon vintages are released after 7 years of ageing. A small portion of each vintage is kept on the lees even longer, to continue the evolution and magnify its natural qualities. Only one person - the Dom Pérignon cellar master - can decide if and when to re-release a vintage. The P2 label indicates that the vintage has reached its second peak in maturity, with optimized intensity (15 to 20 years after harvest). The P3 label indicates its third peak, with optimized complexity (after 30 years on the lees). The 1996 harvest The year was full of contrasts, with a variable summer. The wetter periods never quite made up for the earlier moisture deficit. Eventually, in the month before the harvest (which began on September 16), spells of hot weather and northeasterly winds gave the vintage an unusual maturity. The intense nose is daring, with surprising Mediterranean influences mingling dried roses, citron, saffron, figs and bay leaf. The bouquet expresses darker, silvery notes that are briny and peppery. The wine vibrates and alternates between light and shadow, freshness and gravity. The note holds in pointillist touches arriving in successive waves. Each sensation is light, savory, precise and contained. The acidic imprint that distinguishes the vintage is perfectly integrated here. The wine glides without any dryness as the appealing bitterness of spicy citrus lingers on. More than three centuries later, the House of Dom Perignon perpetuates the visionary approach of its founder, widely considered the spiritual father of Champagne. 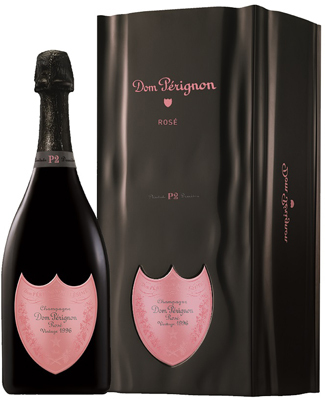 Released only as a vintage, Dom Perignon is cellar aged for at least seven years prior to release. This time is critical for harmonising the flavours and ensuring that the wine’s balance remains elegant, sensual and ethereal. Dom Perignon can also be enjoyed many years later with rare OEnotheque vintages, released by the Chef de Cave at times when the intensity and complexity of the wine has reached optimum levels. Each new vintage is a unique creative act, reinventing the extraordinary style of a wine that only the Chef de Cave may declare a "vintage year". In keeping with Dom Perignon’s expressed ambition in 1668 to create "the best wine in the world”, Dom Perignon Oenotheque represents the supreme homage to this vision. Once the Dom Perignon style has been achieved after seven years and the vintage released, a limited number of bottles are set aside to begin a second period of aging. Six additional years – for a total of no few than thirteen years in the cellar are required to take the wine to another destination : Dom Perignon OEnotheque. The bottles are manually disgorged, liquored and recorked. Each bottle is tasted and approved by a Dom Perignon oenologist, who ensures its excellence before it leaves the cellar.